After working in a nursing home, Dr. Neil Alexander, professor of internal medicine and senior research professor in the Institute of Gerontology at the University of Michigan, became interested in mobility issues in older adults. This interest, paired with his desire to understand the science of rehabilitation, says Alexander, 61, is what led him to his current path. “I was struck by how people in nursing homes had difficulties with mobility — basically getting in and out of a bed or a chair — and we didn’t know much about it in those days,” Alexander says of his work in the late 1970s. He found himself asking why it was so difficult for these people to carry out simple tasks. For a man in constant motion, it is no surprise that Alexander’s work and research focuses on mobility and mobility enhancement. 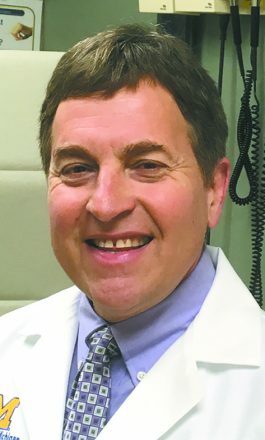 The Ann Arbor resident is the founder and director of the university’s Mobility Enhancement Clinic and director of the Veterans Affairs (VA) Ann Arbor Healthcare System Research Education and Clinical Center (GRECC). According to Alexander, the work he does at the Mobility Enhancement Clinic is informed by the research he does in collaboration with the university and the VA. Mobility issues are typically associated with aging, which, according to Alexander, is why they are so commonly brushed off. A decline in mobility should be taken seriously, he says, and not be accepted as just another part of getting older. Alexander assesses individuals to pinpoint the components that contribute to their decline. From there, he develops a strategy in which he works with patients to optimize what mobility they still have. 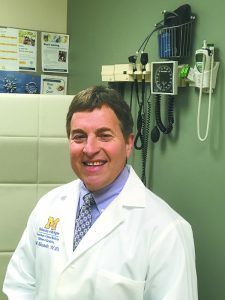 As professor of internal medicine and senior research professor at U-M and being charged with directing two clinics, Alexander admits he works hard to manage his time to balance work with extracurricular activities and family, ensuring time with both his children and stepchildren. However, even with a full plate, Alexander still manages to be actively involved in the Jewish community. He belongs to Beth Israel Synagogue, where he leads services for Rosh Hashanah and Yom Kippur. 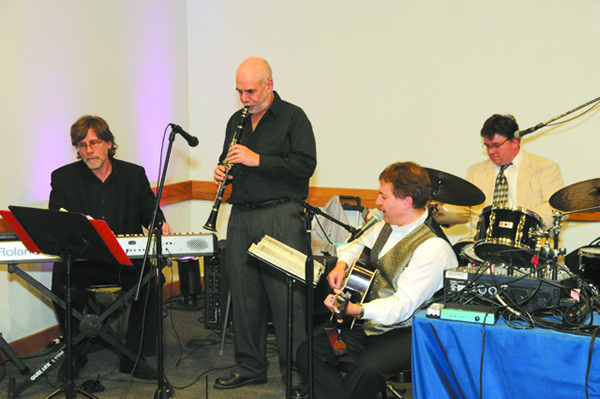 Alexander is also the founder and leader of the Klezmer Fusion Band. 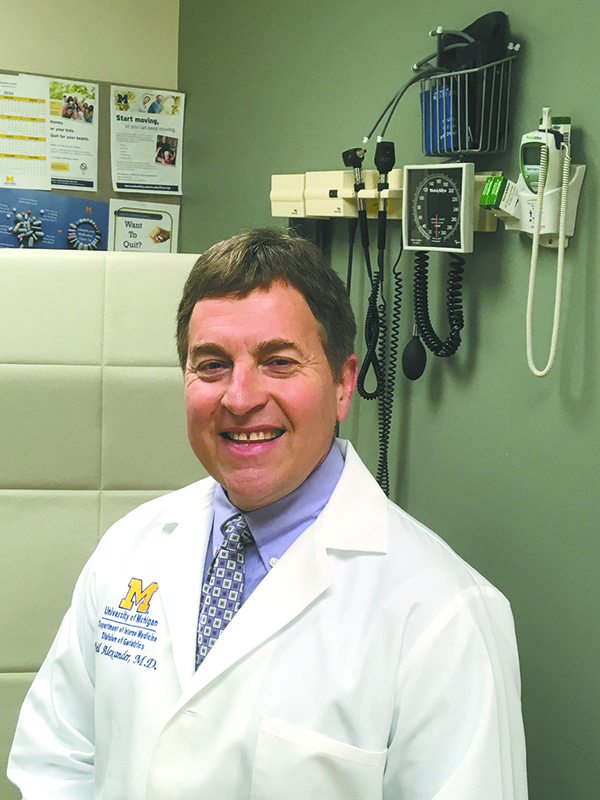 With previous experience in a klezmer band during his residency in New Mexico, Alexander felt right at home playing with groups in Ann Arbor and Lansing when he came to U-M for his geriatrics fellowship in 1987. 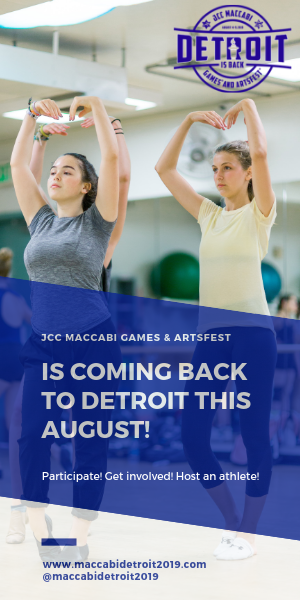 “Being involved with Jewish prayer and speaking Hebrew and Yiddish, I wanted to find a way to integrate all of that,” he says. 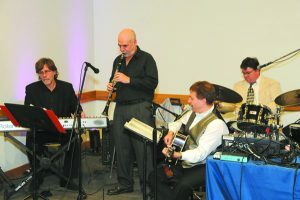 The Klezmer Fusion Band came to fruition in 1993 when Alexander brought a group of guys together to perform at a ceremony. 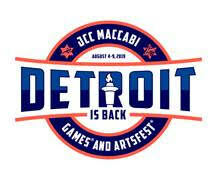 The concept of the band is to integrate rock ‘n’ roll and jazz with traditional klezmer music. 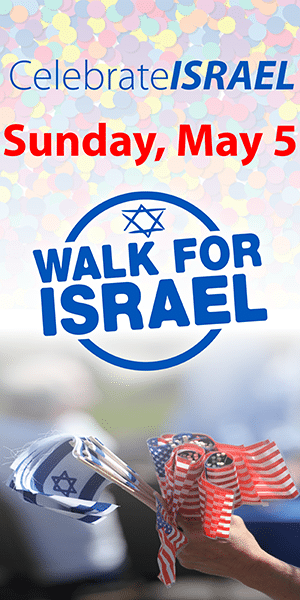 “Our focus is Jewish celebratory music. It is less about the art and more about helping people celebrate their milestones, like bar mitzvahs and weddings. That may be why we don’t do so many concerts,” Alexander says. Whether in a laboratory coat or playing in his band, Alexander is rooted within his community. “My belief is in serving the Jewish community and providing a service to the Jewish community,” he says.